There are 3 things that give a wig away. Lace, lumps and shine. The key to making a wig look natural is to minimize all 3 of them. Lace. People's eyes go straight for the part on your wig so you want to make sure 1. It matches your skin tone and 2. It's not lifting. These are 2 dead give aways that you're wearing a wig. 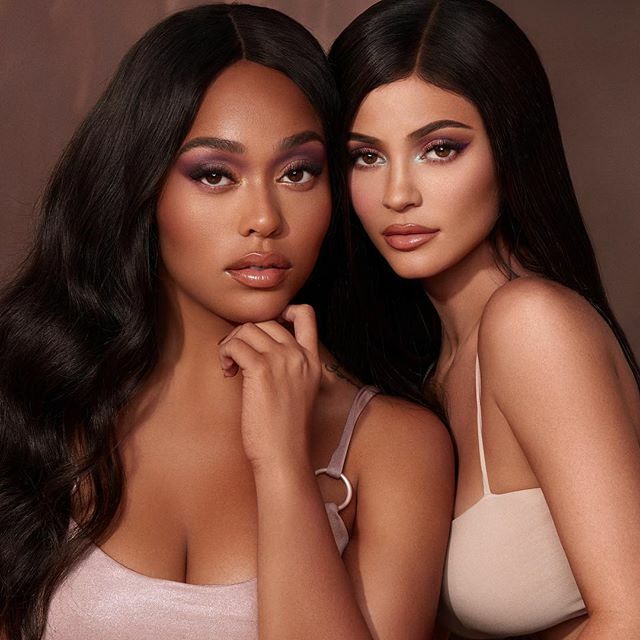 Get a pressed powder or foundation (even an eyeshadow) that's as close to your natural scalp as possible and press it on the part (or any exposed lace) to add to the illusion of your scalp. Soft lace tends to lift and roll more than hard lace which lays flatter because of the stiffer material. If you don't have sensitive skin (and don't care about your edges) go for a hard lace wig. For soft lace you could glue it down or Bobby pin the sides of your wig down. My favorite cheat is throwing a headband over the lace to conceal it completely. Lumps. Make sure your real hair is as flat as can be underneath. A lumpy part just screams wig. You want the wig to look like it's coming out of your scalp. Wig caps and head scarves can help to flatten your hair but ultimately it comes down to your choice of flat hairstyle. I recommend cornrows (stay in longer harder to take out) or flat twists (easy in but easy to come loose). Shine. Our hair has a natural shine when it's healthy. Depending on what type of wig you have (human vs. Synthetic) depends on if shine’ll be a problem or not. Typically quality human wigs have a nice natural shine. Right out the box they might be shiny but a good wash should fix that. If not it's most likely poor quality or a synthetic wig, but it can still be fixed. Synthetic wigs are typically shiner because of its unnatural source. Lately wig companies are getting better at mimicking human hair wigs but if you get a ridiculously shiny, one dry shampoo and translucent powder are your friends. Apply till its a more natural shine. A good medium is to not look too greasy but not look like you're craving moisture. Styling wigs is no easy feat. Whether it is natural, curly or pin straight, wigs can elevate or destroy a look quicker than you might imagine! Styling versatility: Many human hair, lace front wigs can be colored, permed and styled just like your own natural hair. 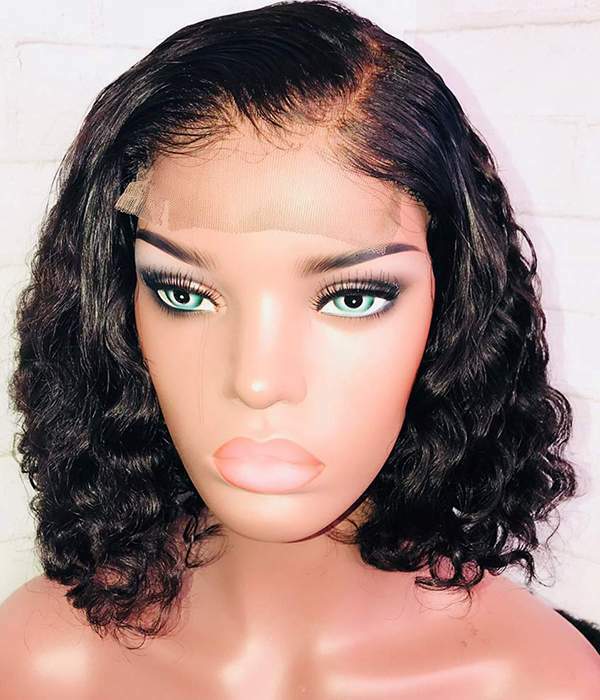 Human hair wigs come in a variety of textures as well as colors, so you can match your own texture very closely if you are looking to match your hair piece to your existing natural looks. 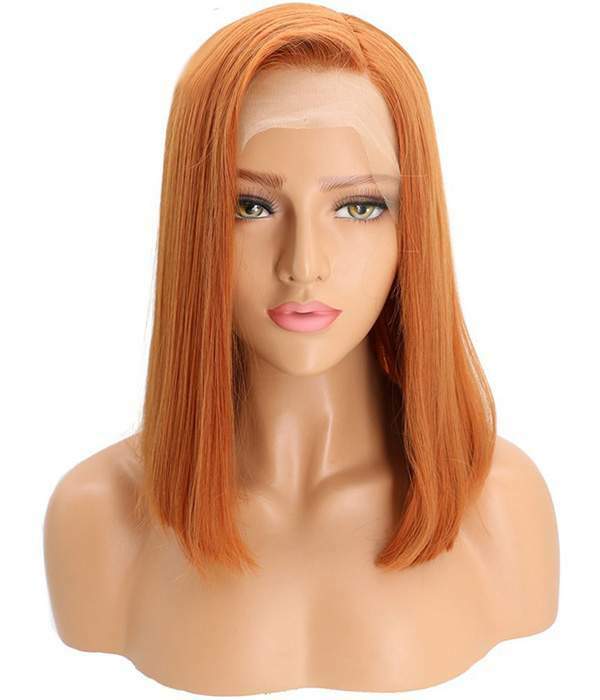 With proper care, human wigs can far outlast their synthetic counterparts. Natural Look: Human hair wigs feel great and can look incredibly natural. ...so, how does one style a human hair wig? This is actually much less complicated than many would think. In 5-6 easy steps, you can have a perfectly styled human hair wig! Cut the Lace: Some lace front wigs come with precut lace, but for the ones that do not the lace must be cut. This is a delicate process that takes a steady hand, a good pair of scissors and a lot of patience. Cut away about a quarter-inch of the lace all around the front and sides of the wig. Do this using long, fluid scissor strokes to avoid jagged edges. It is best to cut away small portions of lace instead of all of it at once, since cutting away too much lace will ruin the wig. Define the part: Use a wide tooth comb to create a part on one side of your hair or follow the hard parting that your hairstylist has previously cut in. If you are completing this process without the aid of a hairstylist, put the wig on your head and decide where you want to part the hair. Be sure it is centered, and try a few different options before you commit! Styling, on or off a head: Now some women prefer to style their wig on their own head, while others prefer to put it on a styrofoam or metal wig stand and style it that way. Regardless of your preference, a wet wig is easier to style. Wet styling is the best method for styles like roller sets and perm rod sets. Styling foam and serums are usually applied on wet hair to smooth it out. Remember to be gentle as you do not want to cause any stress to the bonds holding the wig together. Dry the hair: Gently blot hair with a towel. To restyle your human hair wig, you may use a blow dryer, curling iron or flat iron on low heat settings only or use electric rollers on a medium setting. Add some shine to your style: Try using some shine serum by beautimark to smooth out the hair and add some natural shine. This step will also help to extend the life of your wig! Here are some tips to care for wigs! Getting a high quality wig saves you money by ensuring you have it for a long time and also gives you that classy and distinct look. This however can be a challenge since there are so many counterfeits in the market. 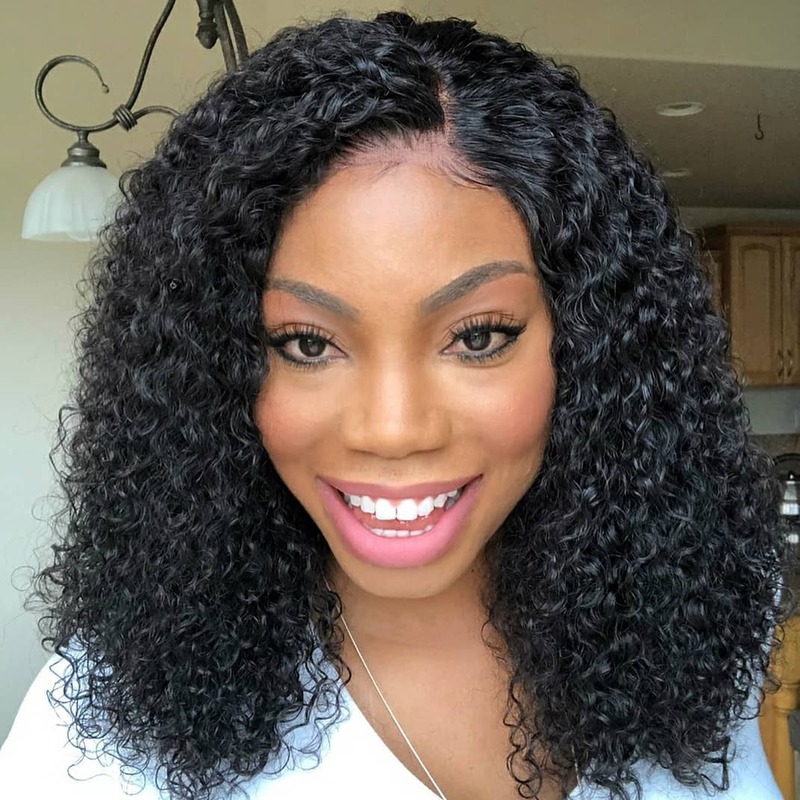 At thrivinghair, we sell high quality wig products that include; full lace, lace front, 360 lace or customized human hair wigs and you can have it either straight, curly, long or short. We offer fast free DHL shipping and 24 hours online services. With over 20 years of experience, you can be sure that you are getting a deal worth every dollar. Ensure that you use heat protectants before you either blow dry or straighten your virgin human hair wig. This helps prevent breakages, drying and frizziness in your wig making it last longer and maintain it's shine and luster. Wear for about six times or until it appears oily. You can alternate between your selection to decrease the cleaning intervals. To clean; first detangle with a your fingers or brush and soak in cold water with a mild shampoo, rinse with cold water until clean and finally air dry it while hanging on a wig stand. Just like your hair, virgin human hair wigs requires to be regularly conditioned and moisturized to keep it in perfect conditions. Use high quality leave-in moisturizers and conditioners. We can also recommend you what to use as our after sale services. Hold your wig or hang it on the wig stand and gently brush downwards. A wide tooth brush helps avoid tension that may cause your wig to have split ends or cause shrinkage. Finally, it's important to note that how your wig looks, is all in the care. How to choose the perfect wig? You must admit that it is difficult to find such a woman who would not like to change, each time in her own reflection of the mirror to find something new, unusual and, of course, attractive. 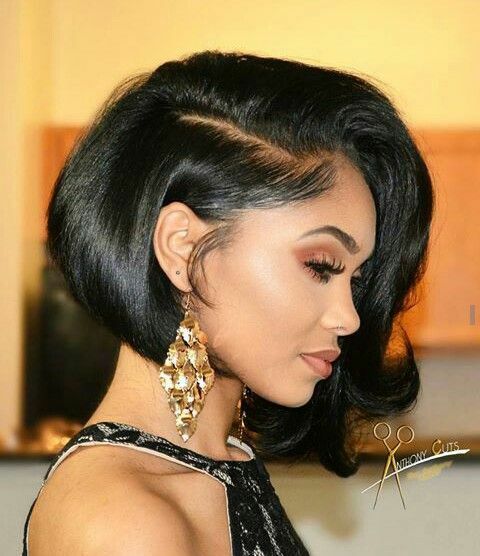 To achieve such changes, it is enough to please yourself with a new hairstyle or haircut, as you know, it is with such a powerful tool like hair that a woman can drastically change her own image, however, both for the better and for the worse. Of course, no one forbids experimenting with his own appearance, but for now, you just don’t have enough health for such “transformations”, the body will protest and begin to hint at your dissatisfaction in every way: your hair began to split, fall out or do not want to grow . How to cope with such a nuisance, because you want so much to get another new, fashionable and incredibly stylish look! What can I say, situations are different, and suddenly you need to look just perfect at the nearest important event, and to put it mildly, the condition of your hair is not so hot? Or maybe you have hair problems and this wild nuisance needs to be somehow "veiled" before better times? Wigs can always come to the rescue, undeservedly forgotten, but very relevant to this day. If you want to look older, choose dark colors, but in order to appear younger, you need to pay attention to warm golden and brown colors. Ladies with an oval face shape are subject to any experiments with regards to the shape, and with regards to the length of the hair. Win-win option - a classic parting in the middle and long straightened curls. Round-cut girls are best served with wigs with short hair and elongated locks on the sides . Avoid too smoothed and "licked" hair, they will further emphasize your "roundness". The square shape of the face requires a wig that can accentuate the cheekbones and slightly change too “straight” proportions of the face. 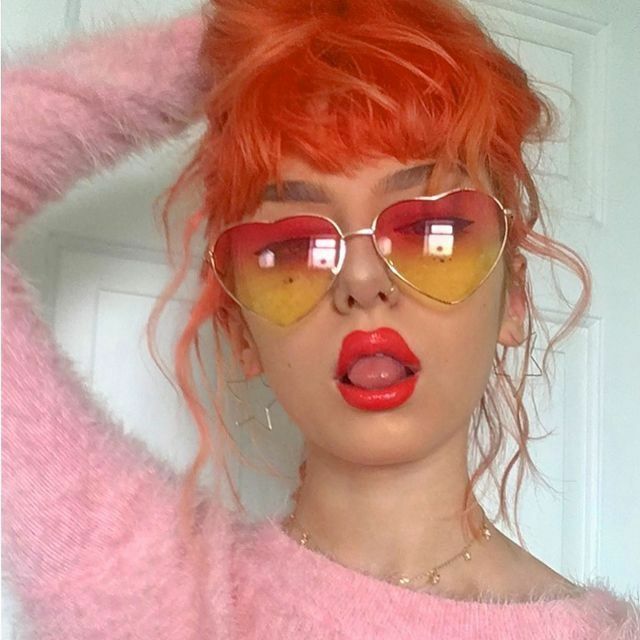 A face in the shape of a heart will look best in a wig with light or large curls, and the shape with curls to the chin will also look beneficial. Do not forget before you put on a wig, be sure to shake it and lightly comb it with your hand so that it looks more natural. 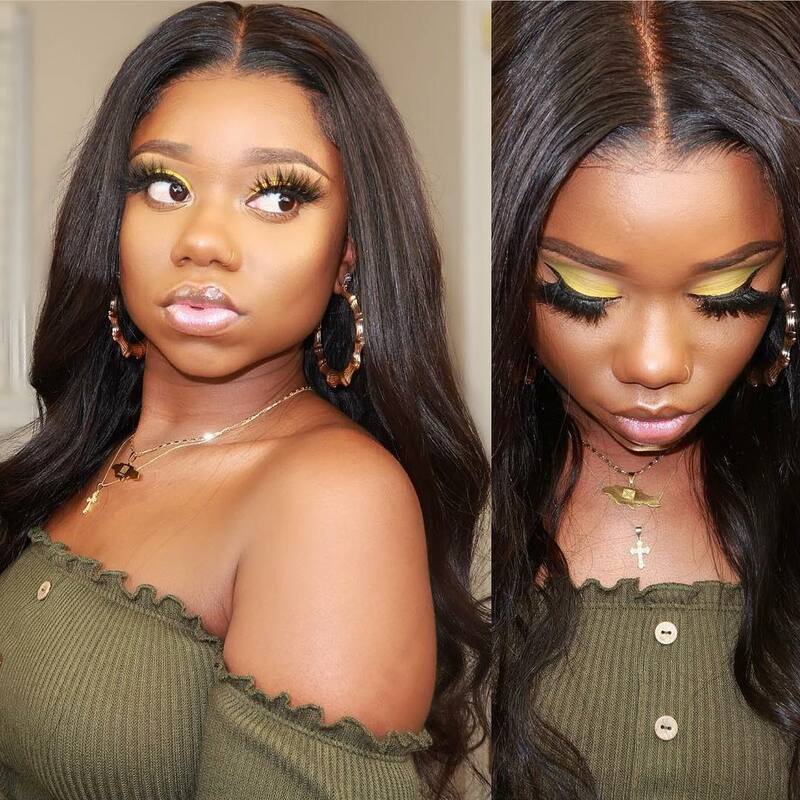 WHY ARE THRIVING HAIR’s 360°Lace Wigs THE BEST ? 1. 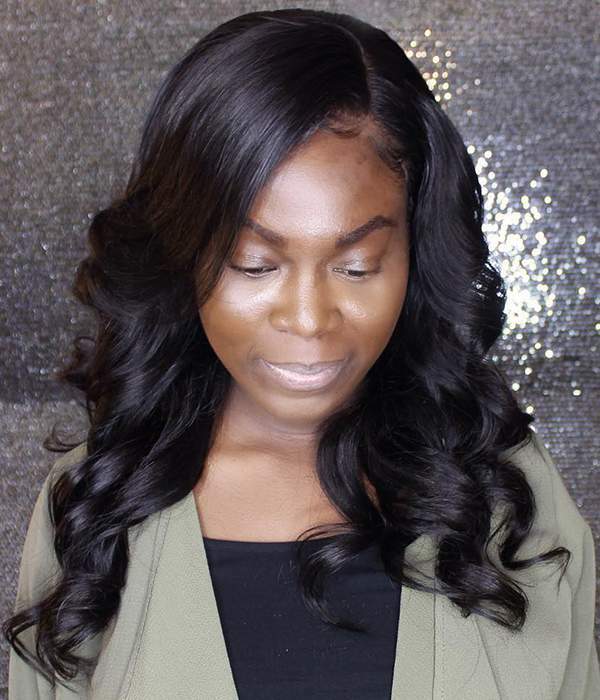 Compared to other companies' 360 lace wigs ,THRIVING HAIR’S are all made with improved anatomic design which will be more comfortable and more natural to wear . 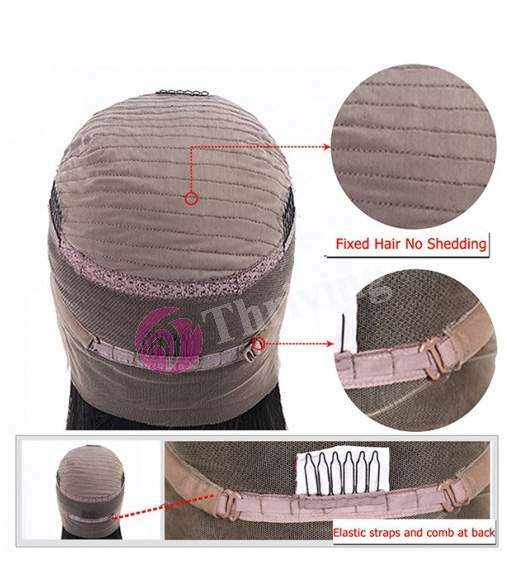 They have a unique three-elastic mesh design in the weaving part on top ,which generates a very natural anatomic arc making the wig fit your head more closely and safely. 2. 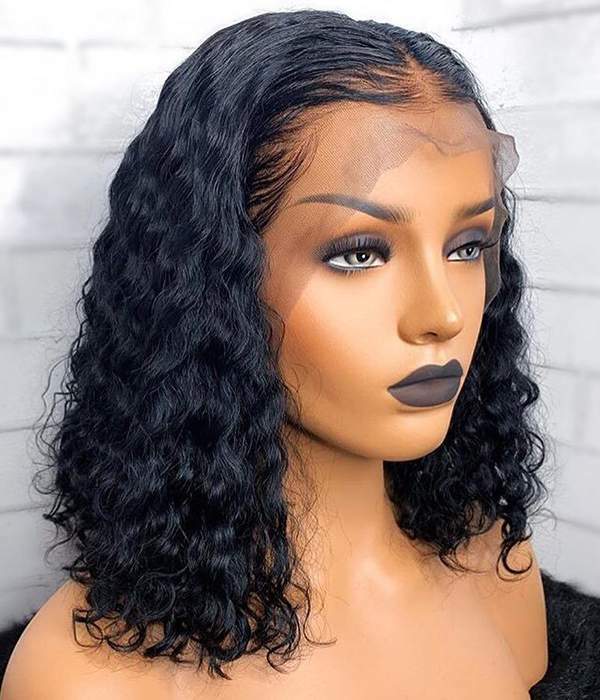 There are 4 inches lace in the front for deep parting and 2 inches lace in the back for a high ponytail and updo ,then you can freely style the wig as you want. 3. They all come with adjustable straps in the back and 4 combs sewn inside , so you can wear without using glue ,tape or other adhesives . 4. They are all made with pre plucked hairline which can make you look more natural. 5. They all come with 150%,180% and 250% density which can give you a thicker look. the nape of your neck, then to the other ear and then back to the hairline. 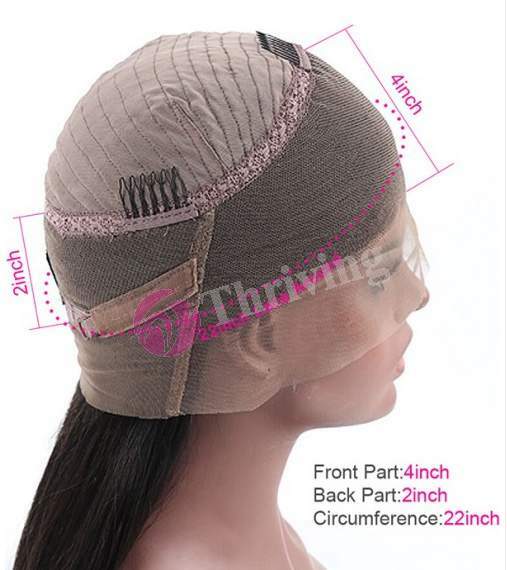 Then you should get a wig cap according to your measurements. 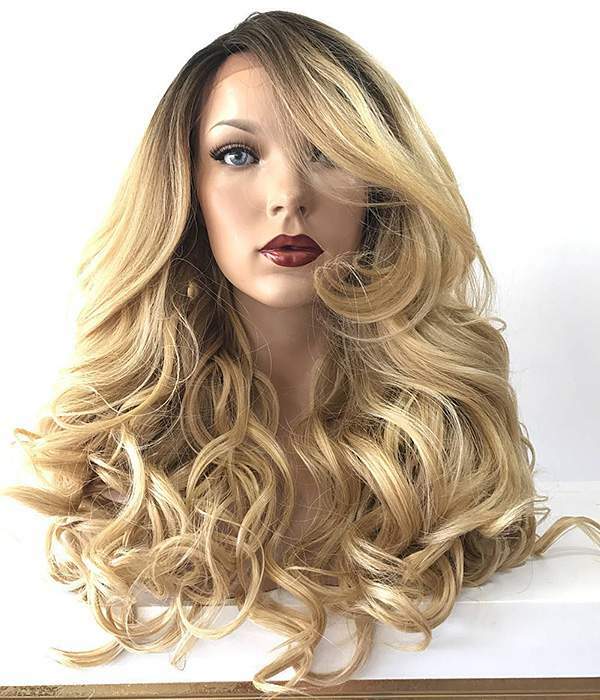 Thriving hair website offer Wigs of several densities, For full lace wig, lace front wig, silk base full lace wig, and silk base lace front wig ,etc. You can choose 130% density,150% density or 180% density. 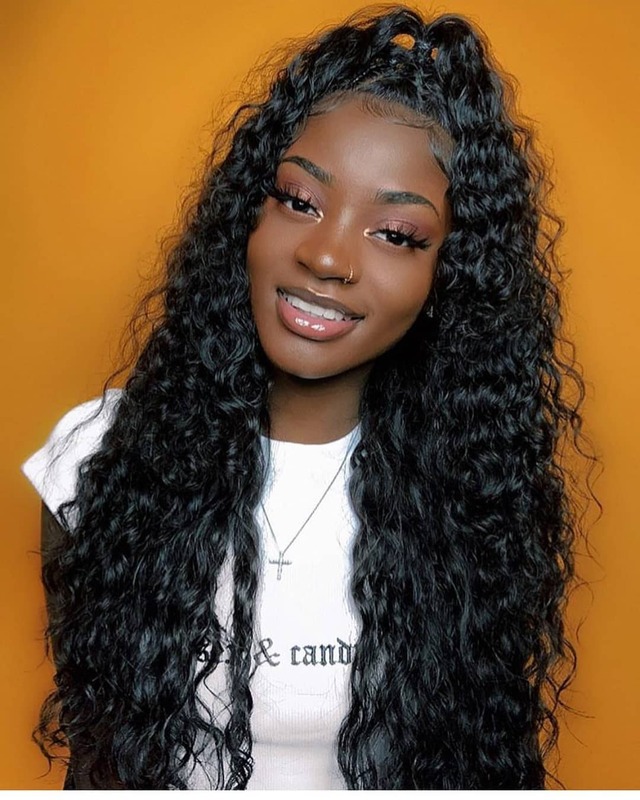 For 360 lace wig,you can choose 180% density or 250% density hair, which is inexpensive and convenient item, You can choose the wig that suits you according to your needs. Whenever, you buy a wig, you should be clear about its composition. Things you must know about wigs include the type of material used and the type of hair fiber used to make the wig. When we talk about the hair type then we come to know that there are basically two types wigs human hair wigs and synthetic wigs. Thriving hair only sell human hair.You can get a wig according to your requirements. Also get some information about the wig caps. You can get the wigs according to your choice of colors. This is the final step in selecting the best human hair wig. If you are new to wearing wigs then you should stick to the natural shade color. If you want to know more about wigs, then you can explore the web for help. Thriving hair wish you a happy Thanksgiving! Thriving hair thanks for your support all the time!